Having long, strong, and shining hair is the utmost desire of an ordinary girl. Why? Because it is a vital part of your personality and beauty. Imagine- a pretty girl with weak, dry and short hair? On the other hand, an average girl with strong, long and shining hair- Her gorgeous hair would enough to reflect the good impact on her personality. Isn't it? If you're pretty enough and unfortunately, you haven't a beautiful hair? Worry you not- because, we have covered you up- We have some amazing home remedies, that would surely help you out. Lemon juice is a perfect home remedy for losing hair. Just apply lemon juice to your hair and leave it for 15 to 20 minutes and wash your hair with a good soap or shampoo. Repeat this process at least 3 times a week. Mix coconut oil with lemon juice is another easy effective solution for your itching and dry scalp. Mix a tablespoon lemon juice in a little amount of coconut oil in a bottle and shake well. Apply this at night when you go to bed, and leave it for the whole night- wash your hair with excellent quality soap or shampoo in the morning, when you get up. The third useful home remedy, I would like to suggest you are a mixture of honey, olive oil, and cinnamon. Just take one spoon of honey, a spoonful of olive oil and teaspoon of cinnamon- mix them well and apply it to your hair. Leave it for 15 to 20 minutes and wash it normally. Yolk of an egg is considered as a great home remedy for losing hair. Gently massage the scalp with a yolk of an egg. Note: These solutions are old but very effective. Always use right soap and shampoo, using a poor soap or shampoo may damage your hair. Hope You will see the best result within a few days and your hair will stop falling. Though there are numerous reasons may involve in hair loss, but the most possible reason may be inadequate amounts of vitamins and proteins, required for your skin. 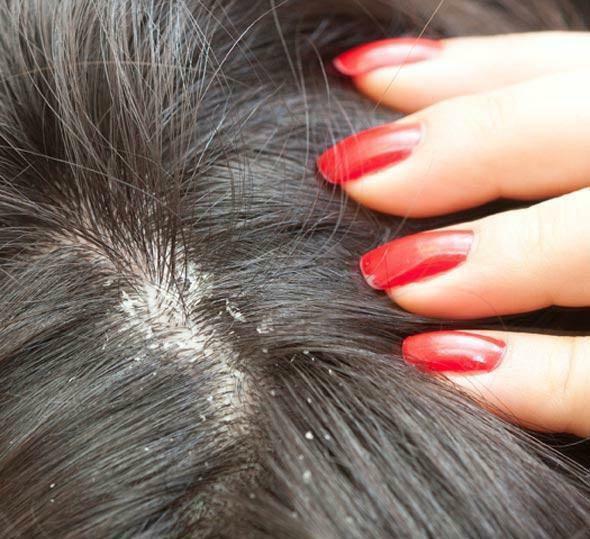 When your skin on scalp becomes dry not getting enough moisturization- there is a big possibility of extreme dandruff- which no doubt, associated with losing hair. So you can get adequate amounts of protein, vitamins, and minerals by healthy eating. Like fish, chicken, fresh vegetables, fruits like banana, nut, salads, and yogurt etc. 1-Drink 8 glasses of water at least a day. 4-Use carrot seed oil, it is considered as vegetarian protein. 6-Mix on an egg in on cup of yogurt for dandruff-free hair and apply a mixture and leave it for 1 hour and wash it out with soft shampoo.Try to eat healthy food as it plays an important role in healthy and strong hair. 6-Almond oil works great on the hair and adds shine and luster on it. 7-It is better to no sleep with wet hair. 8-Massage the hair with oil before wash dry hair. 9-Always use right shampoo or soap. Keep hair clean and brush your hair in a careful manner. 10-Dry your hair in a careful manner. 11-Apply mixture of yogurt and cheese for some while for healthy and strong hair.